Cinderella at The Puppet Co. Valid Any Day of the 2019 Summer Season! Outdoor Attractions Open April 20th! Get ready for a unique and rewarding experience. 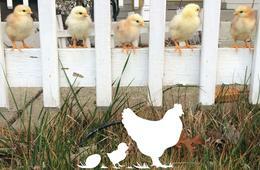 Hatch baby chicks at your home for 4 weeks! Your kids little faces will light up with glee as they get a birds eye view and hands on approach to the evolution of change, through a chicken's life cycle. This one-of-a-kind, rich educational experience instructs and reminds us all how life evolves while encouraging empathy and responsibility. RentACoop rents incubators and brooders and provides everything necessary for a successful chick hatching. At the end of 4 weeks, all of the supplies and chicks will go back to their farm. It's just that easy! Oct 19-21 – Nov 16-18 – SOLD OUT! Nov 16-18 – Dec 14-16 (chicks hatch during Hanukkah) – SOLD OUT! Dec 4-5 – Jan 2-3 (chicks hatch around Christmas) – HURRY! LIMITED QUANTITIES AVAILABLE! Jan 4-6 – Feb 1-3 – HURRY! LIMITED QUANTITIES AVAILABLE! Feb 1-3 – Mar 1-3 – HURRY! LIMITED QUANTITIES AVAILABLE! Nov 2-4 – Nov 30-Dec 2 (chicks hatch around Thanksgiving weekend) – SOLD OUT! Dec 4-6 – Jan 2-3 (chicks hatch around Christmas) – SOLD OUT! Dec 20-21 – Jan 17-18 – HURRY! LIMITED QUANTITIES AVAILABLE! Jan 3-5 – Jan 31-Feb 2 – SOLD OUT! Jan 18-19 – Feb 15-16 – HURRY! LIMITED QUANTITIES AVAILABLE! Jan 31-Feb 2 – Feb 28-Mar 1 – SOLD OUT! Feb 14-16 – Mar 13-15 – SOLD OUT! Select hatch dates upon checkout. Hatch dates cannot be changed/postponed. Delivery fee is NOT included in this voucher. Customers must pick up and drop off from the farm located in Germantown, MD and Flemington, NJ. Delivery is available for an additional fee (maximum $65) for customers within delivery range. Click HERE to see delivery area for DC/MD/VA. Click HERE to see delivery area for NJ/NY/PA. Reservations required and subject to availability. Please click HERE to complete the reservation form. Include your voucher number in the comments section. Questions? Need More Information? Please contact RentACoop at 240-468-7517 or email [email protected]. Limit one voucher per customer. Valid only for the hatch dates listed above. Cannot be combined with any other special offers, promotions or discounts. Not valid on prior purchases. Additional service charges may apply. Vendor is responsible for the quality of the products or services provided at redemption.